Why give a goodie bag? Our bags of wonder contain lots of lovely treats which will be enjoyed at home. They are a little gift, that keeps on giving. We build our goody bags to our clients specifications and needs. 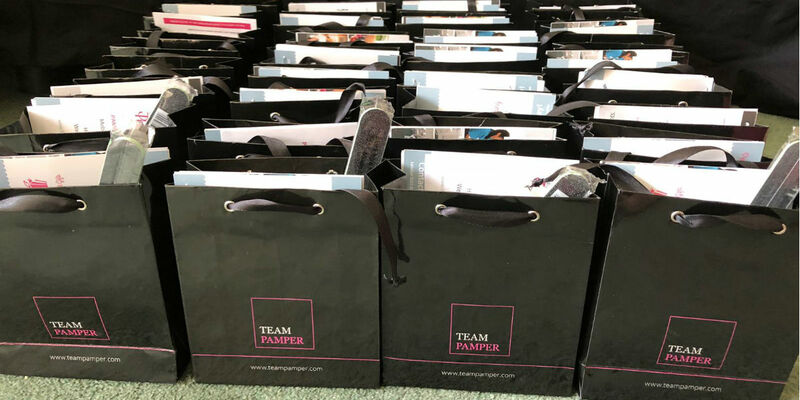 Our impressive glossy pamper bags are the perfect hand outs for any event or to give to your staff as a thank you. Our goodie bags can be sent via post or delivery dispatcher straight to your offices or event venue. Great Christmas gift ideas and stocking fillers.